On May 9, 1965, the 20th anniversary of the victory in the World War II, the Soviet government staged an impressive display of military might. Among several brand-new weapons, rolling through the Red Square that day, Western military attaches in Moscow were stunned to see a missile, which apparently burned solid propellants. As oppose to liquid fuel, the solid-fuel charges could be loaded into the missile for indefinite periods of time, dramatically increasing operational capabilities of a weapon. 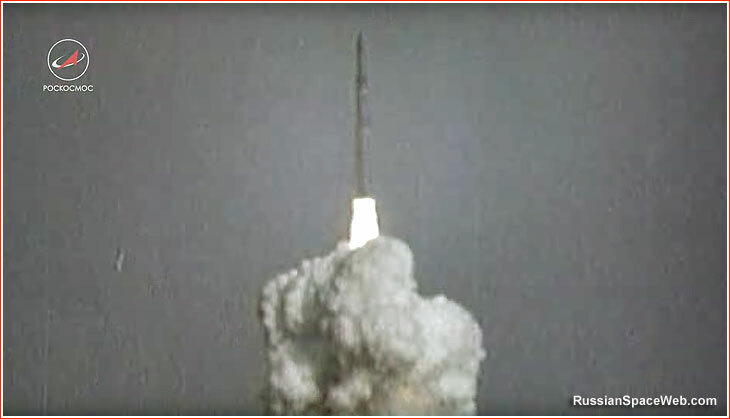 A still from footage likely showing a test launch of the RT-2 rocket from Plesetsk. McNamara's estimates were based on the observations of the US radar, which could distinguish signatures of solid rocket motors during test flights. Since no solid-fuel missiles had been detected in the USSR, some Western analysts alleged that the show at the Red Square had been a hoax. 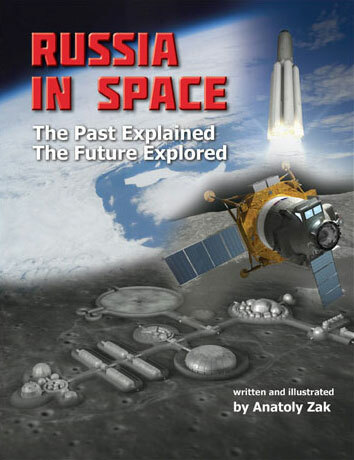 The mystery of the first Soviet solid-fuel ICBM was fully uncovered only in the post-Soviet period. The work on the RT-2 ballistic missile started at Sergei Korolev's OKB-1 in 1963. 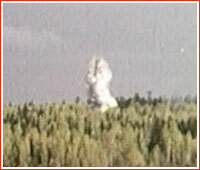 The rocket was a follow-on to the RT-1 intermediate-range ballistic missile. Although, the prototype of the RT-2 had been displayed during the traditional military parades since May 1965, the missile did not actually fly successfully until February 26, 1966. It was formally accepted in armaments on December 18, 1968. (52) It was retired in 1976.